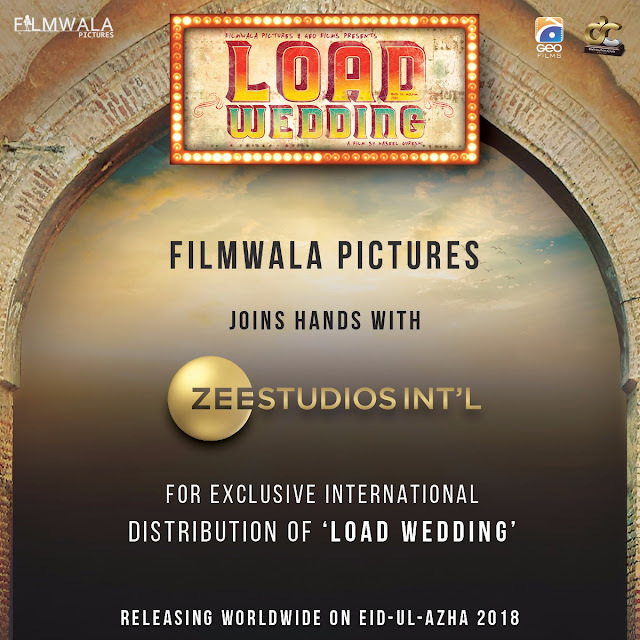 Karachi, Filmwala Pictures is proud to announce the first ever collaboration with one of the most reputable and biggest media houses in Asia: Zee Studios International for the global release of their film – Load Wedding - all set to release this Eid ul Azha. The film stars one of the most loved couple of the Pakistani film industry - Fahad Mustafa and Mehwish Hayat in the lead roles and is directed by Nabeel Qureshi. Zee Entertainment launched in 1992 by Dr Subhash Chandra, has made a mark for itself not only in South Asia but worldwide. They embarked on their dominance in cinema with the release of Gadar - Ek Prem Katha in 2001 and since then have released some of the biggest hits such as Rustom, Jazbaa, Qarib Qarib Single, Hindi Medium and Secret Superstar to name a few. Load Wedding will be released in the cinemas around Pakistan and worldwide on Eid ul Azha.